Church is located on the corner of Maple and Oakland. Use the entrance on Oakland for parking. 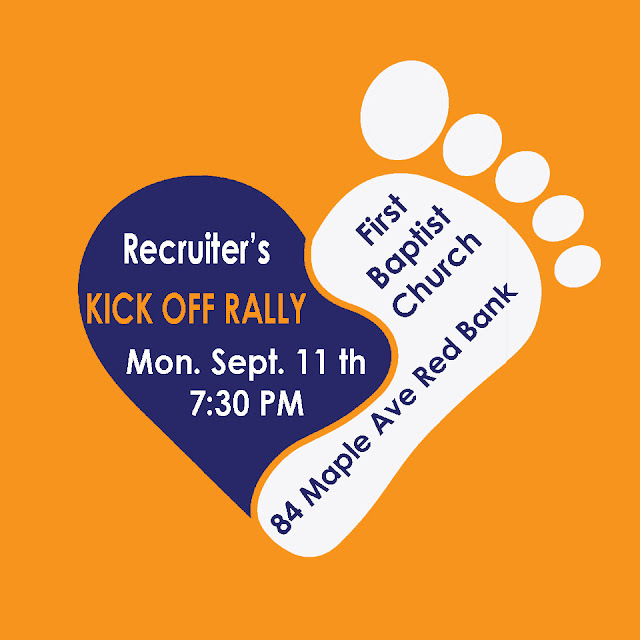 We invite recruiters from participating faith groups, schools and community organizations to attend our 2017 Kick Off Rally. You are the cheer squad that works to get everyone there on walk day! 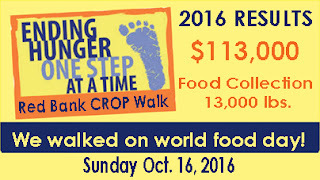 Sunday Oct. 15th at Red Bank Regional High School. 12:30 Reg. 1:00 walk. We thank you for taking the time to attend our rally and for all the work you do to help us create the crowd that walks to end hunger. The Kick Off Rally is the time and the place where you can meet our coordinating committee, teen leaders, representatives from our local partners, and meet each other! Our CROP family has been working together for 37 years to make a difference! At 8:00 we'll have a blessing and introduction by Janie Schildge our walk coordinator, followed by our teen leaders who share tri-fold display boards and talk briefly about how they work to encourage participation by their schools for fundraising and our food collection. We'll demonstrate how to use our website and the Church World Service website to register online and to set up online teams for donations. Online donations increase every year as the website updates and makes it easier and more secure to donate online! 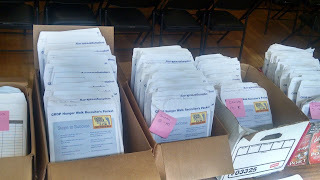 We raised $30,000 last year through online donations. That's nearly 20% of all donations. 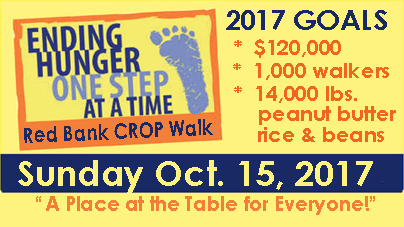 Our teen leaders will also share their knowledge to show how we can all use Red Bank CROP Walk social media sites to grow our circle of caring and help us to meet our 2017 goals!